Chocolate is in a league of its own as far as sweets are concerned. That said, it’s really no wonder that it has a holiday to itself. Yep, National Chocolate Day is coming up on Friday, Oct. 28, so it’s time to pick your favorite treat to devour on the occasion. Here are some of our favorite chocolate desserts around town. Eclipse can do no wrong in the eyes of a chocolate lover. Need further evidence? Try the flourless brownie sundae, made with flourless cocoa nib brownie, creme, vanilla semifreddo and your choice of topping and sauce. We like the chocolate coffee fondue sauce and a sprinkle vanilla sea salt. This long, cigar-shaped dessert is made with a chocolate ganache, wrapped in phyllo dough and served on a “cloud of whipped cream.” Yeah, good luck resisting this epic post-dinner treat. Described as “rich chocolate dough meets Lindt Swiss Chocolate Truffles” — this uber-chocolatey cookie will surely fulfill your National Chocolate Day desires. These soft and chewy cookies are topped with powdered sugar. Gelato is one of many Italian delicacies that we are glad made its way into mainstream American cuisine. One of our favorite gelato shops serves up a variety of delectable flavors, but the milk chocolate hazelnut is our favorite chocolate-fueled pick. It’s thick and sweet with a tasty hint of hazelnut. Sometimes, you just want to sip on a warm, chocolate drink as fall rolls in. While it’s not all that cold here in San Diego, we still like sipping on a sweet drink every now and again. 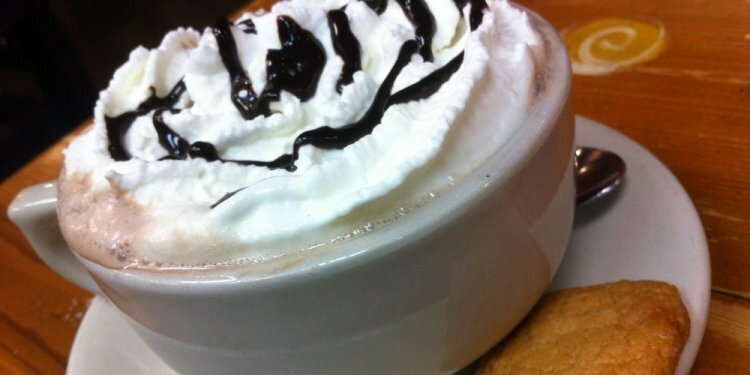 A great go-to is the Ghirardelli hot chocolate, made with their signature chocolate blend and topped with sweet whipped cream.